ARH is no longer just a hospital and a nursing home. ARH is a regional leader in innovative care delivery and a hub for selected acute care, long-term care and other health care services. We're constantly changing and growing to meet the evolving needs of our local communities. We're keeping pace with new clinical innovations such as less invasive surgical procedures, therapies and drug treatments, and finding new ways of delivering care in a community setting. 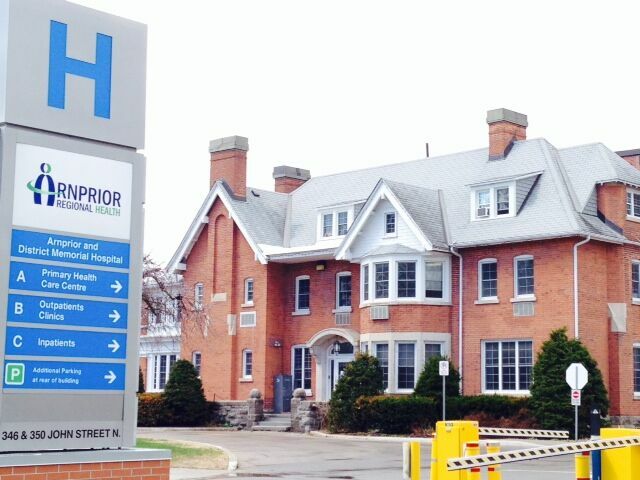 Arnprior Regional Health (ARH) includes: Arnprior & District Memorial Hospital, the Grove Nursing Home, the Primary Health Care Center, community-based services, and linkages with partners across the region to bring the right services to our local communities. The regional hospital has been providing quality health care services for over 70 years. The 60 bed nursing home provides skilled and compassionate long-term care. Discover the community outreach services provided by Arnprior Regional Health. Contact information for tenants located inside the Arnprior & District Memorial Hospital. At Arnprior Regional Health we strive to make our community healthier. When you receive a patient experience questionnaire, please take a few minutes to answer the questions and tell us how we did caring for you. Without your voice and perspective, we can't improve care. We're listening, because your opinion is the voice of the hospital.